The founders of the eponymous stock-photo company are paying $250 mln to regain control after handing the camera to private equity a decade ago. Getty Images is swimming in debt, short on cash and growing slowly. Developing it into a healthy company requires sharp focus. 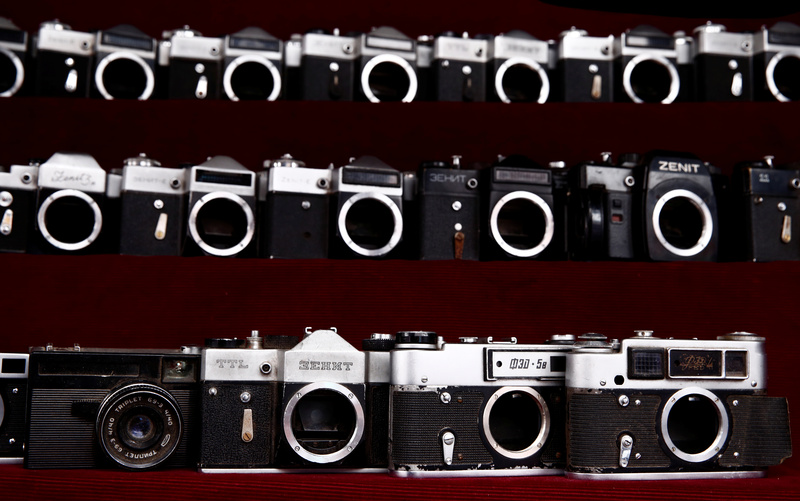 Vintage cameras are displayed for sale at Izmailovsky Market on the eve of the final of the soccer World Cup in Moscow, Russia, July 14, 2018. The Getty family is acquiring Carlyle Group’s majority stake in Getty Images, the family said on Sept. 4, and has started to work on refinancing some of its current debt. The deal puts the enterprise value of the company at slightly less than $3 billion, Reuters reported, citing a source familiar with the terms. The Getty family is paying $250 million for Carlyle’s 51 percent stake, according to the Financial Times, which first reported the deal. Getty Images has more than $2.3 billion of debt. Hellman & Friedman bought most of Getty Images in a 2008 deal that valued the target’s equity at some $2 billion, with around $400 million in debt. The Getty family kept a small stake in the company. Four years later, Hellman & Friedman sold its stake, leaving Carlyle owning just over half of the company and the Getty family the rest. The enterprise value at the time was $3.3 billion.